We are commanded to search through the scriptures and learn HIS commands. We are often taught that following Dietary Law is no longer required. We were the same as most before we started seeking the TRUTH and finding out how far we strayed from HIS word. We post interesting information that pertains to exactly what we should and shouldn’t eat/drink according to our studies. Don’t believe the hype that Dietary Law was done away with. Check out our studies on the subject and see for yourself. In 1 John 1:10 we are told that saying we have not sinned makes HIM a liar and Word is not in us.. If you didn’t know, when the Bible refers to “The Word” it is referring to Yeshua as John states in John 1:1. By denying that Dietary Law exists you are saying that you are not sinning when you partake in eating an unclean animal. Again, if something is a sin and we decide it isn’t, we are claiming that we are not sinning by doing so and John says if we do that, we do not have “The Word” inside of us. Have you ever even thought about following Dietary Law? If you haven’t you are not following along in Biblical Truth. He commands we follow it. Eating something that is considered unclean definitely goes against His commands. The worst part of this subject is that it is a very simple command to follow that we basically just throw away. It actually takes zero effort from us but few will ever search deep enough to see the TRUTH. 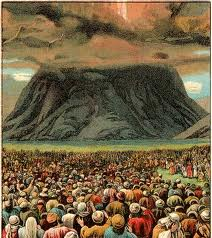 The Israelites were given a set of Dietary Laws at Mount Sinai. These were recorded by Moses and are found in Leviticus chapter 11 and Deuteronomy chapter 14.” These are biblical laws that anyone could observe perfectly if we set our mind to do it. Those that don’t follow it have taken things into their own hands and thrown out Biblical legislation. They have decided to do things “their” way instead of doing things “His” way. It is not “legalistic” to follow any command. It is Biblical to follow the commands. If you don’t follow Biblical Law you are a Law breaker. NOWHERE in the Bible does it say it is okay to eat unclean things. Often times things are taken out of context to show we can eat unclean things. Some believe that Dietary Law was about the Israelites health. Nowhere in the Bible does it say that Yahweh had the Israelites health in mind when HE gave HIS law to Mosheh at Mt. Sinai. The term unclean comes from the Hebrew word (tame’). This refers to ritually/ceremonial unclean. It has nothing at all to do with health reasons. To say unclean foods has anything to do with health is a complete and uttter disregard to the meaning behind it. Remember this. Noah (as explained here) knew Dietary Law and Noah came before Moses. So Dietary Law existed before Moses gave it to the people at Mt. Sinai. It is not a Jewish thing. It is not just for the Israelites. Our own Messiah followed Dietary Law and even commanded that nothing pass from the Law until all is done in Heaven and Earth (Matthew 5:18) Following Dietary Law separates us and HE wants us to be a separate people. There are plenty of scripture references that people can misinterpret or twist around to make it sound like it is okay to go against His Dietary Law which is why we use scripture to “reproof” scripture. There is no way you can twist up a direct statement like that of (Matthew 5:18). The most often used verses come from Paul. We are warned to be leary of those that twist up Paul words to their own demise in (2 Peter 3:15-18). Notice that we are warned to not be “lawless” people. So again, another verse that points to the Law still being in place which includes Dietary Law. Again. We never thought this way until a year or so ago. We have been led to search deep into the sacred text and we have found there is so much there that isn’t taught.